Despite President Trump backing off Tuesday from an immediate threat to close down the U.S. border with Mexico, the automotive supply base is ramping up its efforts to ease the pain of that threat. Magna International Inc., which is headquartered near Toronto but operates 100 facilities in the U.S. and Mexico with more than 57,000 employees, said it is working with customers to accelerate shipments across the border. Scott Worden, manager of corporate communications for Magna, told Crain's Detroit Business via email that the "threats and rhetoric around a border closure" have caused the supplier to contingency plan. Crain's is an affiliate of Automotive News Canada. Magna shipments are already seeing long delays at border crossings this week as manufacturers in both countries are rushing to get product over the border, Worden said. Automotive suppliers could likely only withstand a few days of a shutdown before the entire auto industry halted production, Kristin Dziczek, the vice president of industry, labor and economics at the Center for Automotive Research, wrote in an op-ed in USA Today on Monday. A shutdown would cost the automakers alone $70.2 million in lost production every hour the border is shutdown, according to CAR research. It was not immediately known how much Canadian suppliers would be impacted, but most major suppliers such as Magna and Linamar maintain at least some operations in Mexico. In Michigan alone, the auto industry generated $65.5 billion in trade with Mexico in 2017, or about $7.42 million an hour, so any material shutdown of the border would trickle through the entire economy. "We're of course watching the situation very closely ... we'd have to see how long such an event occurs to understand impact," Tony Sapienza, a spokesman for German supplier for ZF North America, said in an e-mail. Trump made the threat to shut down the border late last week and maintains he still may do so if Mexico does not do a better job in preventing migrants from Latin America from reaching the U.S. border. "Let me just give you a little secret: Security is more important to me than trade," Trump said at the White House Tuesday. "I'm totally prepared to do it. We're going to see what happens over the next few days." But shortly after, Trump backed off the immediate threat, indicating Mexico was already making good on its promise. "I'm ready to close it," he said Tuesday. "If I have to close it, Mexico, as you know, as of yesterday, has been starting to apprehend a lot of people at their southern border coming in from Honduras and Guatemala and El Salvador. And they're really apprehending thousands of people. And it's the first time really in decades that this is taking place and this should have taken place a long time ago." White House Economic Adviser Larry Kudlow told reporters Wednesday the administration is seeking ways to mitigate the economic impact of closing the border. 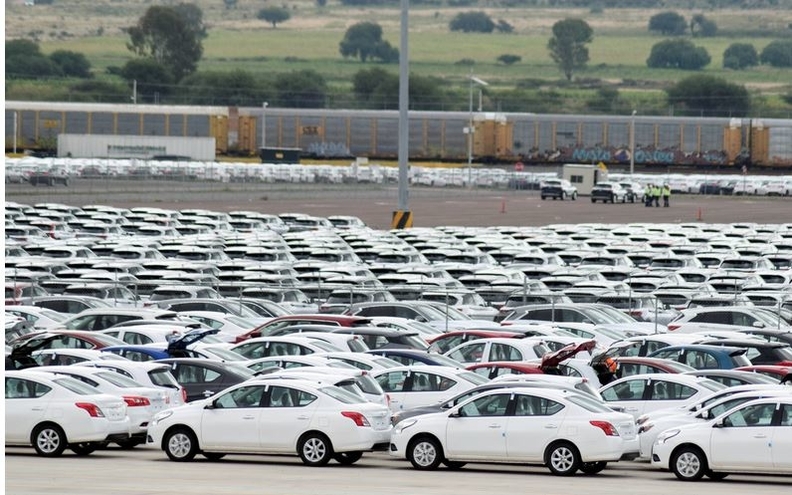 It's unknown how the administration could shut down the border without negatively impacting automotive trade. A typical car in the U.S. is assembled from roughly 30,000 parts made in Mexico, Bloomberg reported. Many parts cross the border several times before they are completed and installed on a vehicle. "I don't see how the industry can react in any way," Charlie Chesbrough, a senior economist with Cox Automotive Inc., an Atlanta-based research and marketing company, told Bloomberg. "You need very specific parts to go into a vehicle."